It’s the end of February and I’m rounding up my favorite stationery items! I usually have an issue with buying stationery items and not knowing what to do with them other than admire the beautiful deigns, but this month, everything I’ve used has a purpose. In this article, I’ll mention my favorite planner, journal, pen, bag and idea book for the month of February. If your excited to see my list, keep reading! If you’ve been keeping up with my posts, you know I have been raving about The Peony Planner by The Happiness Planner. From the color and feel to the inspirational inserts and elegant accessories, this planner is something I have to pick up every single day! If you’d like to learn more about this planner, check out my full review! I received a daily planner for Christmas that I originally planned to use for work tasks. Now it’s covered in my favorite affirmation stickers and I have re-purposed it to be a personal journal. I find that writing down highlights, failures and triumphs from your day is beneficial in that it relieves stress and allows you to see your growth later on. The journal is by Eccolo Ltd. an Italian brand who believes in the same qualities as The Paper Review in that it is important to keep the gift of handwriting alive in a digital world. To learn more about this brand and the products they offer, visit them here! Dabney Lee never ceases to amaze me with her colorful, bold designs. This notebook is also a coloring book which comes in handy when I need to keep the little one occupied or simply want to fall into a realm of creativity. This is where I write down all my ideas for The Paper Review and other business ventures. The Happiness Planner comes with a pen and this has by far been my favorite. I’m unsure about the ink and tip specs, but I do know this pen is already almost out of ink because I grab it so often! Another Christmas gift I received was my Steve Madden bag. I’m in love with the silver hardware and the simplicity of the black design. This bag has been perfect for carrying all my favorites from this month and I plan on using it throughout the whole year (for now). I hope you enjoyed this quick post about my January favorites! 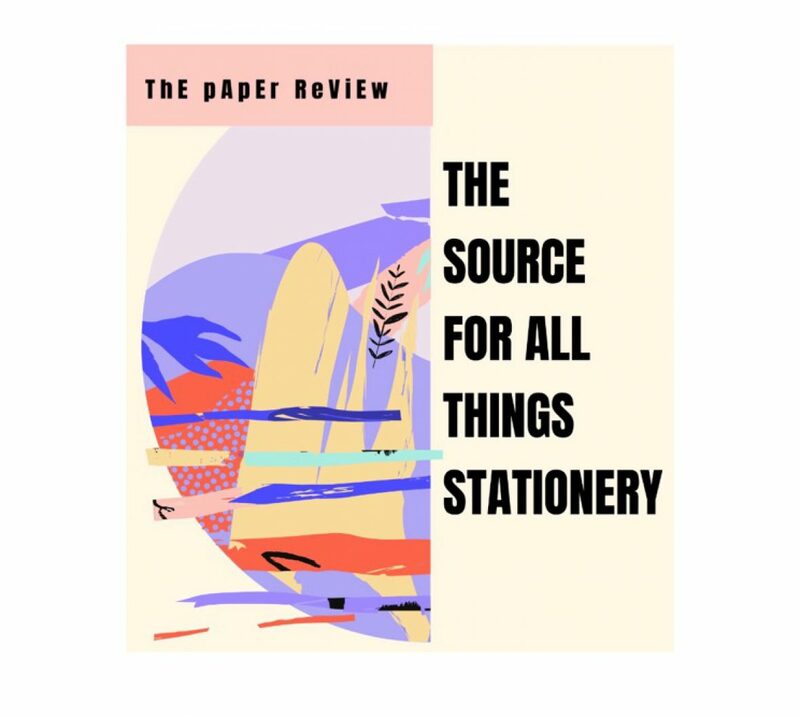 Be sure to follow the blog for more posts on stationery trends, company interviews and product reviews. Follow The Paper Review on Instagram and subscribe to our YouTube! Previous postUsing The Happiness Planner Alongside their App?